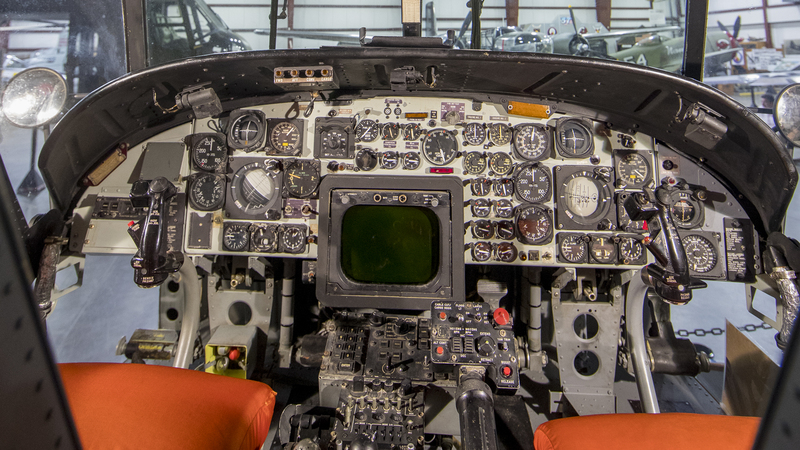 An ace public historian shares some of her favorite aviation artifacts. 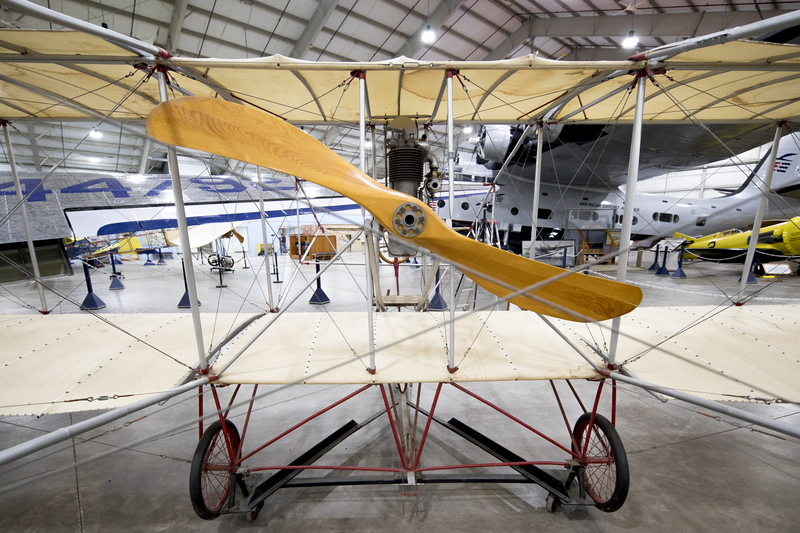 The New England Air Museum in Windsor Locks, Con­necticut, is aerospace heaven: vast hangars teeming with aircraft of every vintage, size, and configuration set off with an impressive array of eye-catching exhibits. UMass Amherst alumna Amanda Goodheart Parks ’10G, the museum’s director of education, glides happily through the wondrous clutter, trailed by groups of students ranging from preschoolers right on up to young adults who are fast-tracking into aerospace engineering programs. By training, Goodheart Parks is a public historian, dedicated to spur­ring the general public’s interest in history through exhibits and events in museums, archives, policy centers, historic-preserva­tion agencies, and com­munity organizations. History in general is her home turf, but she is also comfortable with its application to aerospace tech­nology: avionics, aerodynamics, the physics of flight, basic engineering. Indeed, so poised and commanding does she seem in her work that it’s startling to hear that when she applied for the job three years ago, her knowledge of aviation history amounted to “the Wright brothers, Amelia Earhart, and Alan Shep­ard, with very minimal connecting threads” and that, thoroughbred humanist that she was, she knew nothing whatsoever about the history of aerospace technology. As an undergraduate at Salve Regina University in Newport, Rhode Island, Goodheart Parks wanted to teach high school history and double-majored in history and education. She took a course in public history. Further internships, including one at Historic Deerfield, led to four years down the road working at the Springfield Museums in their education department. There Goodheart Parks gained new skills teaching, coordinating educational programs, and working with docents. 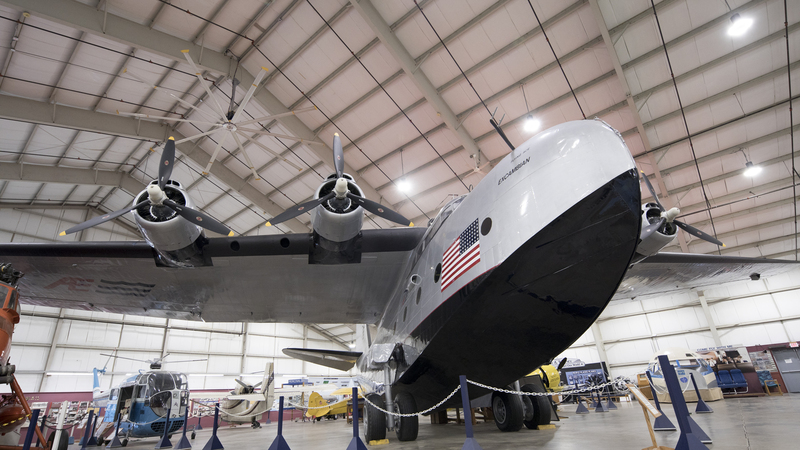 When the New England Air Museum beckoned, she was excited but had to confront a steep learning curve. “My first couple of months here were a crash course—pun intended—on the technical aspects of aerospace science,” she recalls. “Our amazing staff and volunteers, many of whom are retired pilots and engineers, were my mentors. They gave me a real appreciation of the history of aerospace engineering and science. Below, Goodheart Parks highlights a few of the museum’s gems, large and small.